This year marks the 60th anniversary of the Foreign Language Film Academy Award. To commemorate this special anniversary, the Academy created an amazing playlist of all the acceptance speeches of this category to date, as well as a poster gallery of the winners. Experiencing a foreign film in its original version is the best way to fully immerse yourself in the fictional world of the film. There are a lot of opportunities to watch subtitled foreign films throughout the year in the UK. Dona��t miss on some great films – check whata��s on over the next few weeks. This acclaimed co-production between Germany and Austria was one of the 2017 Oscar nominated films and tells the story of Winfried, a divorced retiree who delights in playing pranks in his German suburb. Concerned about his rigid and controlled daughter, a high-ranking management consultant, he decides to surprise her with funnily excruciating visit. 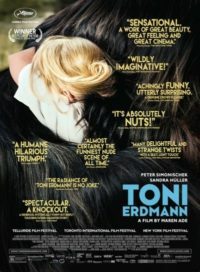 You can currently watch Toni Erdmann in London. Alma works on a chicken farm on the East Coast of Spain. She has a deep connection with her grandfather even though he stopped talking years ago. When he begins to refuse food too, Alma is convinced that the only way to save him is to recover the millennial olive tree that her family sold 12 years ago against his will, now lost somewhere in Europe. 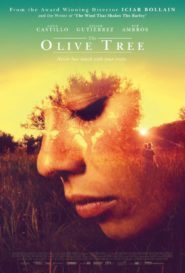 The Olive Tree is a moving physical and mental journey from director IcA�ar BollaA�n, co-written with Paul Laverty (frequent collaborator of Ken Loach) that you can watch in London, Oxford, Brighton or Liverpool. The last film of the controversial director Paul Verhoeven is his first one in the French language. The Oscar nominated Isabelle Huppert brings MichA?le to life on screen, a divorced businesswoman that is sexually assaulted in her own home, refuses to tell the police and takes matters into her own hands breaking conventions with an uncompromising perspective. 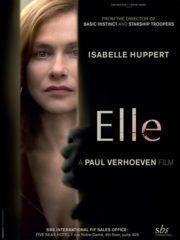 Watch Elle at several locations in London, Brighton, Oxford, Cambridge or Liverpool, among other cities. Saroo, a five-year-old Indian boy gets lost in a train station and arrives in Calcutta, thousands of kilometres from home and where he doesna��t understand the local language. After surviving many challenges, he is adopted by a couple in Australia. More than 20 years later, he starts a quest to find his hometown and lost family. The languages used in the film are English as well as Hindi and Bengali and the story is set in the India of the present and the past. 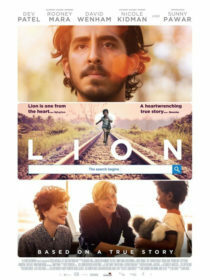 Lion was one of the 2017 Oscar Best Picture nominees and you can still watch it in many locations such as London, Manchester, Brighton, Liverpool or Leeds. Watch Love with restrictions if you are in London, Manchester, Leeds or Sheffield. To find out more information about any of our courses simply call us on 01273 830 960 or email us. Our multilingual team will be happy to answer any questions you may have.